POSTED January 30, 2019 11:58 a.m.
CRAWFORD COUNTY - Dave Bonifas of the Mississippi River Region Planning Commission (MRRPC) and Crawford County Emergency Management Director Jim Hackett led a public input session on Crawford County’s five-year update of its Multi-Hazard Mitigation Plan. The meeting, held Thursday, Jan. 17, was sparsely attended. The participants included Karrie Jackelen from U.S. Representative Ron Kind’s office, Crawford County Highway Commissioner Dennis Pelock, a Wauzeka resident, Forest Jahnke, Eli Mandel and Ellen Brooks from the Crawford Stewardship Project, and Independent-Scout editor Charley Preusser. The plan’s purpose is to identify goals, projects and actions the county, other local governments and other organizations can undertake to reduce hazard risks to life, health and property. Through properly addressing the federal requirements in the Disaster Mitigation Act of 2000, the plan makes the county and other local governments that participated in the planning process eligible for Federal Hazard Mitigation Grant Programs. The public information meeting held was the final step in the planning process before the plan is approved for presentation to the county board for approval. It is expected to go before the Crawford County Board of Supervisors at their February meeting. 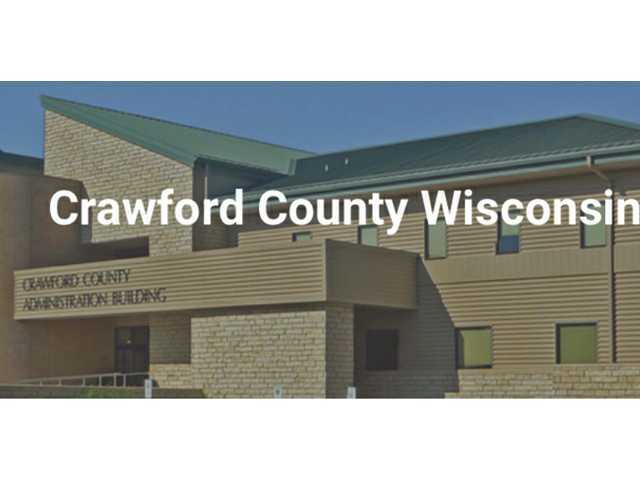 All input gathered through individual citizen input, and from the public input meeting will be considered at the next Crawford County Land and Water Committee meeting scheduled for Tuesday, Feb. 12, at 10 a.m. at the Crawford County Administration Building in Prairie du Chien. The Land Conservation Department has laid out detailed goals and initiatives in their 10-year Land and Water Resource Management Plan, adopted in 2017. The conservation department’s plan contains ideas for working with landowners and farmers to control runoff. However, at this time, the Crawford County Multi-Hazard Mitigation Plan contains little language about runoff control for the purpose of flood hazard mitigation. At the meeting, there was discussion of some of the land use hazard mitigation line items that had been inserted into Vernon County’s plan, and whether they would be suitable for inclusion into Crawford County’s plan. Crawford County Conservationist Dave Troester was not able to attend the public input meeting, but shared some of his thoughts with the Independent-Scout by phone. At meeting last Thursday, Crawford Stewardship Project’s Forest Jahnke said that he had heard that FEMA would be re-mapping the Kickapoo Valley floodplain using LIDAR radar in 2019. This mapping would be potentially helpful to the county in identifying priority areas for installation of conservation land use measures. Troester said that projects such as developing a landowner and farmer outreach program around the issues of land use and flood mitigation might be something he would recommend including. He said that developing a cost share program for flood mitigation land use projects might be useful, but is another thing he is not optimistic would be funded through the county. Flooding Risks (section 3.5) is lacking in evaluation of land uses as both a risk factor, and potential mitigation solution. There is data and available rainfall simulators that demonstrate the significant impact of different land uses on runoff and infiltration rates. Crawford County is already taking major steps in this direction with its cover crops program and encouragement of managed grazing and pasture-based production systems. We suggest that this progress be recognized and further encouraged in this plan, as well as taking some of the specific land use mitigation proposals from the Vernon County Multi Hazards Mitigation Plan draft. We are confused by this plan’s apparent reversal of assessment methods when it comes to the Agriculture Risks section of the Plan (Section 3.14). Why were no risks posed by agriculture assessed, as they were for all other categories? Manure spills, nutrient leaching, pesticide drift and contamination… all of these pose hazards, especially on our sensitive landscape in an era of agricultural consolidation replacing family farms. Of course, agriculture is not the only land-use that should be evaluated for its risks. Perhaps it would make more sense to replace the Agriculture Risk Assessment with a general ‘Land Use Risk Assessment’ which holistically evaluates both the risks and risk-mitigation posed by various land uses: residential development, waste disposal, industrial development, row-crops, pasture land, hayland, woodlands, wetlands, prairie and savanna. Preusser also made the recommendation that, in addition to the line item in the plan about improving bridges to prevent the county from being cut in half during flooding, a project of elevating the parts of Highway 131 that can be covered by floodwaters should also be included in the plan. For instance, elevating and improving the County S bridge across the Kickapoo will keep it open as a conduit across the river, but won’t allow Ocooch Mountain Rescue to cross the Kickapoo if Highway 131 south of Gays Mills is closed off by flooding. Improving County S will not facilitate the kind of access to the northwest part of the county like elevating the County B bridge would. This problem would be improved, but not solved, by improving the County S bridge. In an article in the Independent-Scout’s January 10 issue, a question was posed about the county’s one flood control dam, the Blackhawk-Kickapoo Dam on Johnstown Road. Given recent historic flooding compounded by dam failures in the headwaters of the West Fork of the Kickapoo River, one might be puzzled by the hazard ratings both counties have given the dam failure hazard. There is widespread consensus that our area has seen increasingly frequent large rain events that exceed the old ‘100-year frequency’ standard. The rain events strike with unpredictability so that different areas can take the brunt of a catastrophic rain event. Gays Mills was particularly impacted by a large rain event in 2007 that caused dangerous flash flooding in the early morning hours in the village, when most residents were asleep. As we saw in the breach of the Jersey Valley and Mlsna Dams in the 2018 Labor Day flood events, it was not the dams them-selves that gave way, but rather the hillside near the auxiliary floodwater spill-way that eroded and breached. The reality is, that the Blackhawk-Kickapoo Dam on Johnstown Road did what it was supposed to do in 2007 and held back water that would potentially have made the catastrophic flash flooding in Gays Mills even more dangerous. The dam, when full, holds 68,975,013 gallons of water. Given what happened in Vernon County recently, are Crawford County residents satisfied that the local dam and the hillside to which it is anchored are adequately engineered to hold in the kinds of catastrophic rain events that we’ve increasingly seen in our area? Preusser advocated for consideration of the idea of removing sedimentation from the floodplain as a flooding mitigation option. Preusser cited history of a sedimentation removal project in the Pecatonica River Watershed. If the amounts spent per mile of river on the Pecatonica were used as a rate to remove sedimentation in the Kickapoo floodplain, it could cost about $30 million. One Wauzeka resident who was present at the meeting inquired about inserting into the plan a line item about acquiring equipment and training for emergency first responders to use in flooding situations. A rescue boat and swift water rescue training were two items specifically mentioned. The hazards of subsidence (sinkholes) and landslides were also discussed. Jahnke of CSP had quite a bit to say on the topic of subsidence or sinkholes. The Subsidence Risk Assessment in particular (Section 3.18), and Hazard Mitigation Plan in general is lacking in groundwater and drinking water risk assessment, according to Jahnke. Initial results of the Southwest Wisconsin Groundwater and Geology Study (SWIGG), which showed that 42 percent of sampled wells showed either bacterial or nitrate contamination, along with the problems in Kewaunee County, recent results of well water sampling in the Tainter Creek Watershed which showed 23 percent of sampled wells had elevated levels of nitrate, the problems that the LaCrosse County Health Department is dealing with in the Townships of Holmen and Onalaska with elevated nitrate levels, and the problems our neighbors in Iowa have experienced in recent years all point to the same thing, according to Jahnke.